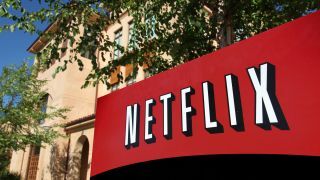 Netflix subscribers know all too well that while the streaming service's recommendations system is fairly accurate, it often lures them into adding too many movies that don't get watched. That's why Netflix is building a superior recommendation system to fine tune what it suggests goes into your queue, and it's developing the algorithm with deep learning techniques. Calling it Distributed Neural Networks, the company's efforts use cloud computing from partner Amazon Web Services and GPUs from graphics card maker Nvidia. Through this configuration and code Neural Network optimization, Netflix has been able to train the cloud for more personalized recommendations in just 47 minutes, down from 20 hours. Netflix isn't the only internet company with deep learning ambitions. Facebook hired NYU professor Yann LeCun to heads its AI lab and Google brought on Ray Kurzweil for similar reasons. Google also bought just an AI start-up called DeepMind to go along with its acquisition of robot maker Boston Dynamics. Netflix's project seem a little less scary than Google's, except of course if you're Comcast and Time Warner, which have banded together in the era of cable cord cutting. You may also our reviews of PS4 and Xbox One, two Netflix-supported consoles.